Shop for dinosaur posters in our dinosaur store and you will find this magnificent T-rex from Jurassic World. 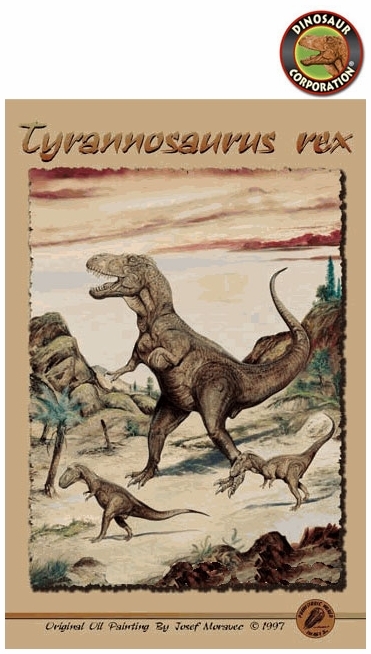 T-rex poster is the ultimate wall covering for all Tyrannosaurus rex fans! * T-rex is the most popular dinosaur predator from Prehistoric times. Copyright Dinosaur Corporation, U.S.A. All rights reserved TM. Made in USA.